Dr. Michelle Williams joined our team in 2003 creating a practice that combines the best of traditional chiropractic and physical therapy. 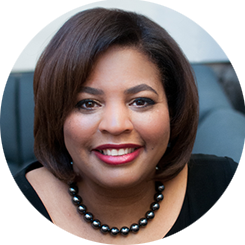 With over 15 years of clinical experience, Dr. Williams follows the philosophy that care is most successful when people are treated as whole human beings, not as individual parts, and her work is focused on finding and treating the root causes. Dr. Michelle Williams, graduated from Life University College of Chiropractic, Marietta, GA with a Doctorate in Chiropractic. She is Maryland State Board Certified with Physical Therapy Privileges. Coordinator of Clinical Education for both the volunteer aide and student intern programs. Member of the Maryland Chiropractic Association, International Chiropractic Association and American Black Chiropractic Association. 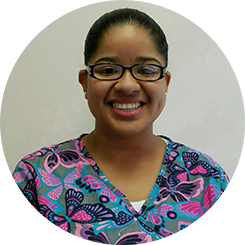 Luz Santos is a highly trained Registered Chiropractic Assistant and certified by The Maryland State Board of Chiropractic. She has several years of clinical practice experience and has been a part of our team for over seven years. Luz Santos is bilingual, fluent in English and Spanish.